Facebook boss Mark Zuckerberg has followed in his footsteps, sporting a plain grey T-shirt every day for years—only to swap it for a simple black suit to testify before Congress and the European Parliament. But Silicon Valley, whose billionaires have long stuck to basic, functional apparel, may finally be starting to get a taste for something more extravagant. 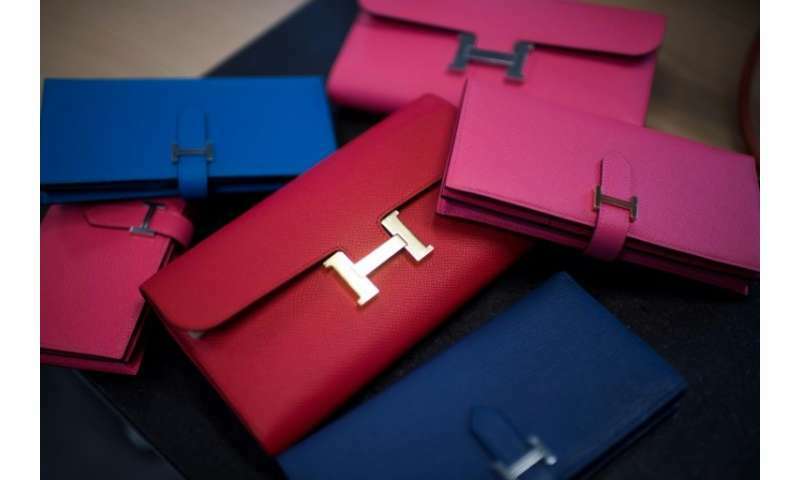 Sensing an opportunity, French luxury titan Hermes has launched its 34th US store in Palo Alto, the ultra-rich beating heart of the world's technological behemoths. "We opened this new store after our San Francisco store reaped very strong results," Hermes CEO Axel Dumas told shareholders in June. "It's also a bet on the future. Right now, you can see how residents often invest more in their cars than in their clothes. We hope to be able to change that a little," Dumas added. Guillaume de Seynes, a top executive at Hermes, sees great potential in Silicon Valley. Palo Alto "isn't very far away from San Francisco, where luxury is everywhere. However, the environment is very different. People are very focused on their professional success, working very long hours", he said. For now, that potential has yet to blossom, with Silicon Valley's residents still mostly seen in jeans, T-shirts and trainers. "If you really think about it, Steve Jobs had a disastrous dress sense," Paris School of Luxury co-founder Eric Briones told AFP. "And even if it's starting to get a little better now, it's still very simplistic. But that doesn't stop (people) from earning billions!" he added. Startup business leaders have had such a huge cultural impact that firms around the world have become more casual about clothing, Briones said. "Nowadays, startup bosses are seen as the epitome of success. For them, clothing is utilitarian, functional and secondary," he added. "And if they wear a suit, they must be wrinkle-free, because they don't have the time to preen themselves. They live in the moment, zipping from one plane to the next," said Briones. Until recently, few luxury houses had thought to venture out to Palo Alto. 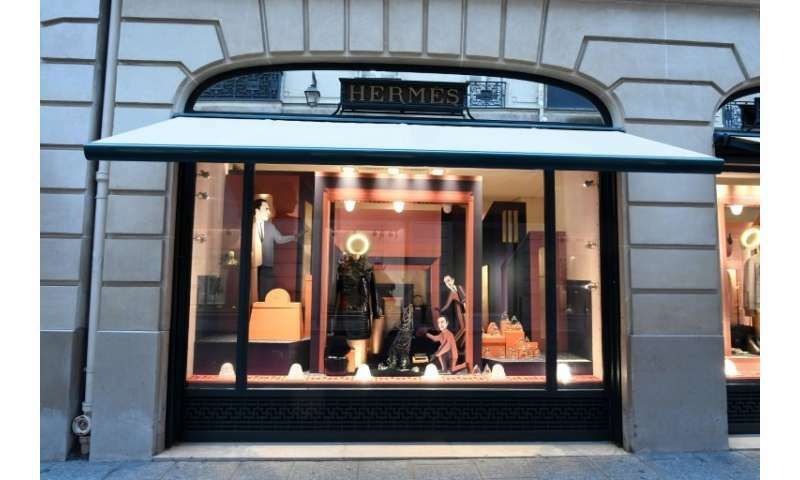 Today, three French giants—Hermes as well as Louis Vuitton and Cartier—have set up shop there. In neighbouring Santa Clara, high-end fashion addicts can find Christian Dior, Balenciaga and Yves Saint Laurent boutiques, all huddled together in a glitzy Californian shopping mall. But just because they don't necessarily wear designer clothing, the children of the digital revolution aren't by any means new to luxury. "This particular population segment... has already adopted luxurious lifestyle habits," said Elisabeth Ponsolle des Portes of the Comite Colbert, which groups together 82 French luxury houses specialising in fashion, gastronomy, hotels and culture. "They invest a lot in real estate, contemporary art, cars and charity. They also know a lot about wine and gastronomy," she added. Comite Colbert has entered into a partnership with the prestigious Stanford University, located in Silicon Valley. From September, artisans will teach students the coveted techniques honed over centuries by French goldsmiths. In December, the group plans to welcome some 70 Californian industrialists and investors in Paris, where they will visit tailoring workshops and dine in Versailles—"unique experiences that money can't buy", Ponsolle des Portes said. "We are planting a seed," she said, adding that it wasn't financial return that the firms were after. Rather, her group wants to "to help (Silicon Valley residents) understand the difference between marketing-based luxury and the real thing". Beyond the beauty of the scarves and elegance of the bags and shoes, French luxury houses may also have another lesson in store for Silicon Valley giants. According to Ponsolle des Portes, tech companies are intrigued by "the longevity of our enterprises". Hermes was founded in Paris in 1837, Cartier in 1947, and Dior in 1946. Google was born in 1998, and Facebook in 2004. "In the Silicon Valley business model, companies are 'uberised' within five years," Ponsolle des Portes said.